This is the Friday round-up of news in “blasphemy” for Friday 7 August 2015. Al-Omari was participating in an International Symposium on Media Coverage of Religious Symbols in the light of international law which took place in Lille, France. Saudi Arabia and the Organisation of Islamic Cooperation (OIC) have been pushing the United Nations to enact a global ban on “blasphemy” or “defamation of religion” for several years. With Norway and Iceland abolishing their blasphemy laws this year, and Malta’s lawmakers considering doing likewise, the trajectory in the western world seems to be very much against Saudi Arabia’s push for a global ‘blasphemy’ law. 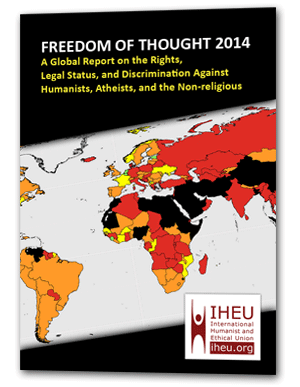 However, wth countries like UAE and Kuwait and Brunei tightening their laws in recent months and years, the powerful Saudi lobby may lend a false legitimacy and encourage new ‘blasphemy’ laws in the parts of the world where they are are used most frequently and most severely to curb freedom of thought, religion, and free inquiry, and to silence freedom of expression on matters relating to religion. 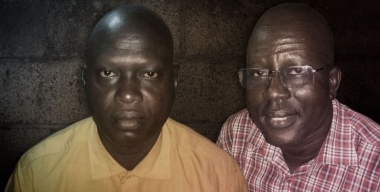 The DPA German news agency reports the judge found Yat Michael guilty of “breach of the peace” (Article 69) and Peter Yen (also known as David Reith) guilty of “managing a criminal or terrorist organization” (Article 65). But he ordered both released, as they had already served the sentences for these offenses by their 8-month term in prison. Dr. David Curry, President/CEO of Open Doors USA, commented on the good news of the pastors’ release: “I am grateful and encouraged to hear news about the release of Pastor Michael and Pastor Yen. The worldwide prayers of many Christians have been answered. Forty-nine year-old magazine editor and publisher Shoaib Adil fled his home in the eastern city of Lahore last month and went into hiding with his wife and children. Adil faces threats and possible charges of blasphemy–a crime punishable by life imprisonment or death–in connection with a book he published in 2007, written by a judge belonging to a religious minority group in Pakistan, as well as with his magazine, which covers sensitive issues. For years, Adil has been able to navigate the challenges that come with his critical journalistic work. But now he faces the possibility of being unable to live or work safely in Pakistan. In the book, Bhatti wrote about his religious upbringing as well as his professional life. But maulvis [clerics and religious activists] have taken issue with a book published seven years ago that is pretty much out of print, and have accused us of blasphemy. I don’t think it contains anything blasphemous. The June issue of Nia Zamana put the spotlight on the murder of Rashid Rehman, a human rights lawyer in Multan, who was gunned down for defending Junaid Hafeez, a lecturer who is facing charges of blasphemy. There is a complete lack of sensibility here. How long will this continue? Shortly after the June issue was published I began receiving calls telling me there would be consequences. No one wants to talk about blasphemy. No one wants to consider it. It’s a landmine. The pressure is so immense that police will go along when blasphemy accusations are leveled against someone. Lawyers won’t touch the cases. Lower court judges are intimidated by “mob justice” by religious groups who are able to organize themselves at a moment’s notice. They are so powerful, they intimidate judges into silence. Judges are aware that they can be shot dead. Lower courts often sentence those accused to death, and leave it for the higher courts to have final say. Frequently, those accused are murdered. And anyone accused almost certainly will languish in prison for years, even if nothing is proven against them. I have been feeling shock. I feel that I have escaped from the mouth of death because very few people escape blasphemy accusations. At first I was having trouble coming to grips with what happened. Now I am keeping a very low profile and minimizing my time in public. It’s become impossible for me to work here. Almost two months on, my office remains shut. And after sending my wife, son, and daughter to live with relatives, and spending almost a month away, we’re together again but still in hiding. …deep concerns over the death sentences handed out for blasphemy last month by the Kano State Upper Sharia Court to nine individuals affiliated with the Tijaniyyah Sufi sect. We urge the government of Kano State and the Federal Government to issue full pardons and to ensure protection of the nine. … Ideally, we would ask for a full pardon and civil protection of the condemned. We appreciate that this issue is complex. But justice demands due process and the protection of individual’s rights of expression. 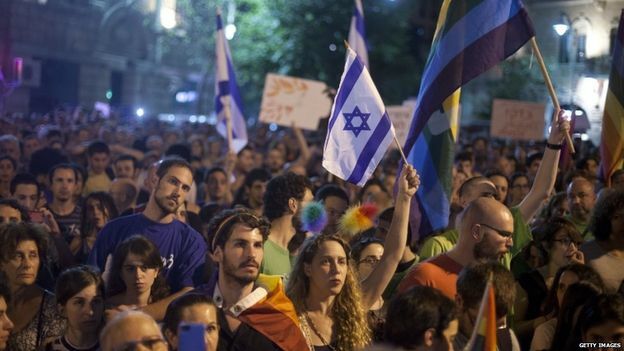 After a multiple stabbing last week, carried out by an ultra-Orthodox Jewish man against random participants in Jerusalem’s gay Pride march, there was naturally an outpouring of soul-searching and condemnation. One young woman died from the stab injuries at the weekend. President Reuven Rivlin noted that 16-year-old Shira Banki was an ally of the LGBT community who “joined the parade in the name of the values ​​in which she believed – tolerance, equality, hope, and love”. Because obviously calling for tolerance and equality is a “blasphemy” —the Rabbi seems to agree with the murderer that much — so if you can’t stab them with a knife, you can always get them in the courts. New Zealand already criminalizes “blasphemous libel”. In addition, parliament enacted a Harmful Digital Communications Act last month, which contains language that is “disconcertingly familiar from other pseudo-blasphemy laws”, as we put it in our weekly round-up #22. The Act had come as a bit of a bolt out of the blue for campaigners in the country, and concerns were quickly raised about its “ludicrously vague” terms, not least on provisions around offending religious sentiments. Partners in our International Coalition Against Blasphemy Laws, the New Zealand Humanist Society, is one of the groups concerned that the Act, aimed at cyberbullying, is (in part) essentially a second blasphemy law, calling it “An embarrassing step backwards and a severe blow to free speech”. The Act will permit individuals to bring proceedings if they allege that a digital communication has denigrated their religion, causing them to “suffer serious emotional distress”. And the punishments are some of the most severe in the world – if charged, individuals could face up to two years imprisonment or a fine of up to $50,000. “Blasphemy is within the hudud (crimes against God), but none of the judges asked if the State in person or an authorized officer have filed a complaint of blasphemy against Asia. Sharia (Islamic law) says that the accused must confess their crime and all testimonies verified before the trial. All these requirements have been ignored”. Coptic Solidarity applauds the bi-partisan cooperation on this important bill which addresses the dangerous proliferation and use of blasphemy laws and norms at both the international and national levels. This resolution affirms full religious freedom for all, and has a particular focus on blasphemy laws in Egypt, Pakistan, and Saudi Arabia. The laws in each of these countries have a similar objective, which is to place a government as the arbiter of truth or religious rightness and empower the government to discriminate against reformist individuals and millions of minorities by enforcing majoritarian religious views through vague and overarching criminal definitions, such as “insulting Islam”. New Republic has a long-read on the homegrown Jihadist who carried out the Copenhagen shootings in February. Omar El-Hussein opened fire on participants attending a seminar on ‘blasphemy’ and free expression and later at a young man at a synagogue, in an apparent copycat to the Charlie Hebdo outrage the month previously. … Like the shooters in Paris, El-Hussein was clearly a troubled young man. But he was also something more: a Muslim in a formerly ethnically homogeneous European nation that is now decidedly less so, and struggling with it. You can read the full article at NewRepublic.com.